Full Description: One of a collection of receipts, bills and letterheads from The Heckmondwike English Concertina Premier Prize Band, c1920 - 1929. 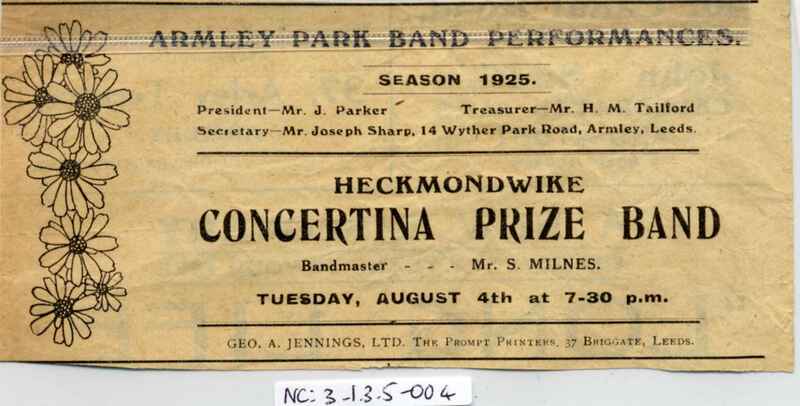 An advert clipped form a local paper (Leeds/Armley district) advertising the Heckmondwike Concertina Band's performance at Armley Park, August 4th 1925. "Bandmaster Mr S Milnes".